Cliff & Donna Pastor the Church on Canvey Island. Happily married since 1984 with eight children, four of which are grown up, they have lived in the Canvey / Southend Area most of their lives. Cliff has been well known in the area all his working life first as a milkman before becoming one of the youngest managers in the dairy, he went on to train as a Writer of Wills, he has also been on the sales team of a number of local businesses, and more recently as a catalogue distributor for Kleeneze. 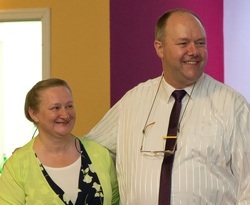 Cliff & Donna have a long history of being involved in Church in various positions including that of Acting Pastors. 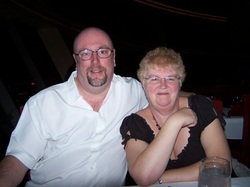 Cliff, for a number of years was President of FGBMFI and Donna was in charge of "Women of the Fellowship". More of their Story and Journey to faith will be shared on the "This is My Story" page. Derrick was a former Police Officer and Ann a piano teacher. Both are passionate about sharing the Good News that Jesus forgives and restores.